Good indoor plants: Is the Areca Palm one of them? Posted 11:36 pm by Chris & filed under Plants. For me, good indoor plants are ones that are easy to care for. They do not need a lot of direct sunlight and still maintain their foliage. I like the dark green plants better than the lighter green ones for inside because of the lower light requirements. If you look at the picture of the Areca Palm attached, it has continuously flourished and provided many surprises throughout its life. This makes it one of the good indoor plants in my opinion. We have had this plant in our house for four years and it has quadrupled its width while only doubling in height. I can take it outside to dappled light under the trees on the patio to add an extra measure of lushness. It is not a threat to our pets in any way other than them possibly using it as a hiding or cooling off place. Then it can be FREAK OUT time because I can’t find them. I think it’s a good indoor plant because it makes me feel warmer in the winter because they remind me of the tropics. There is also the addition of the freshening of the air in the house as they consume the Carbon Dioxide and provide fresh oxygen for us.It also creates an atmosphere of peace and calmness for our home. When people come to visit, one of the first things that they will notice and comment about is the wood floor and the abundance of the good indoor plants in our house. They are everywhere you look. Not only near different furniture, but also wrapped around the racks that hold the dishes in the kitchen, in every corner and anywhere else there may be extra space. Each plant holds a special memory, or has history to remind us of someone or some event in our lives. We have a plant that we had had since 1978. It has traveled with Heather all over the United States and survived many different climates. She received it as a house warming gift, and it has brought warmth and joy in a peaceful way since then. We also like to give and receive plants as presents. Heather loves to take cuttings and start them in their own soil. Sometimes, when she gives them as gifts, it is as a piece of her has been passed onto the recipient to remind them of how much she appreciates them. 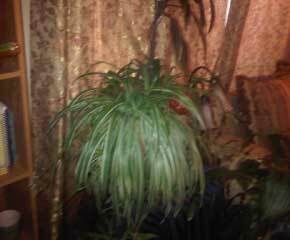 Birthdays, Marriages and going home from this world at the celebration of a life well lived have all been honored by good indoor plants. Yes, they can take a little bit of work, but they do complete the look and feel of the home. My favorite house plant is the chives and other herbs that we grow in our home. I do not believe that Heather counts Alfalfa sprouts as an indoor plant, because they do not last long enough to enjoy for too long as we enjoy eating them. But all in all, what is a good indoor plant? It is one that brings you joy, peace and a sense of well being. With the fresh air shared by your plants, if you like it and it thrives for you. What Are The Benefits Of Organic Food? Posted 8:15 pm by Chris & filed under Organic Gardening. Out of the Mouths of children come some of the best questions that have ever been asked. Click on the link above and see for yourself what some of the different Organic (Grocery Store Organic) Versus Whole Organic Foods sell you! So how do you feel about GMO? (Genetically Modified Organisms) A genetically modified organism (GMO) or genetically engineered organism (GEO) is an organism whose genetic material has been altered using genetic engineering techniques. Can it affect your Health? Your Heart? Your ability to have a healthy digestive system? I am going to let you decide for yourself. If you have to take drugs to counteract the effects of altered fuel for your body you just might say YES! Lets take a look at what we are buying in the stores, and the cost of not purchasing food that will fuel your body to Health. Would you put Diesel in your gas powered cars fuel tank and expect it to run properly? Not really, different fuel for a different engine. I once worked at a place where they mis-labled the fuel cans and I put diesel in the lawn mower. What was the outcome? Smelly exhaust, but the mower ran poorly and I was able to run the entire tank through the engine, since it was already hot. Once I went to fill it up again, it would not run again. So what does this have to do with Potato’s? Well, Vegetables provide fuel for our bodies. Proper fuel keeps your body healthy and helps get rid of toxins during the digestive process. Do you really want to add a bunch (pun intended) of contaminants to your body to stress it out? Believe me, there is a lot more stress already in our lives now than we need. If you are older like me, You may remember growing up with fruit trees all around in your neighborhood, yes, even in the city. I grew up in the northwest for a few years in Spokane, Washington. Our neighbors had a plum tree that always produced so much fruit that the ground would be full of them if it was not picked on a regular basis. One time I think we tried to eat all of the fruit on the ground before it went bad. I got a stomach ache, and soon discovered what the term “regular” meant. I continued to eat the plums until we moved, and we alway bought our fruit from the farmer who grew it. Always fesh and juicy. One of my favorites was the oranges. My favorite. I have not found many that are that way since. Maybe I have to move to a warmer climate and grow our own. Any way, Think about your own experiences with organic food. What is your favorite food, and how was it grown? Tell us your story, and lets find the growers, or become the growers that produce the fuel that not only tastes great, but produces the Perfect Fuel for our bodies. Remember, You are Totally Awesome, because that is the way you are created! Organic Vegetables:When Is Starting Plants Too Early? Posted 10:11 pm by Chris & filed under Organic Gardening. When Is Starting Plants Too Early? If you’re like me, a few warm days and I’m ready to start the garden no matter how much common sense tells me to wait. The easiest way I’ve found to rein myself in is to start some plants inside the house. So, it’s March 1st and I’m wanting to plant. I have visions of all of those Organic Vegetables that I can Just Taste and smell that I enjoy so much! The organic vegetables I’ve found that work best this early are spinach, bunching onion, chives, radishes, etc. Make sure the plants you select will not out grow the planter they are in, and can withstand a little crowding, both above ground and the roots. I don’t try tomatoes this early because they become root bound prior to a safe transplanting time unless I have a greenhouse then I can fudge a little. Organic vegetables will always have a better chance to grow in a greenhouse in a cold environment. Also, grow lights are not that expensive nor is a small bag of good potting soil and compost. I can plant in almost anything as long as it has been well cleaned, has a good sized surface area, good drainage and no more than a 6 to 8 inch depth. Don’t try this with deep rooted plants or wide spreading plants. This is an idea to help you get through the first “spring fever” attack. My husband, Chris, cheats a little bit, and as soon as the Chives and the spinach gets big enough to taste a bit, he “tests” the plants to ensure that they are going to meet the Taste test. Since moving to a mostly vegetarian diet, his health has improved tremendously! One of the things that has helped him is breathing properly. He started asking for help from Carrie Tucker at HeartFailureSolutions.com, and we have noticed a huge improvement in his health. Just as our bodies need oxygen, the plants also need the Carbon Dioxide that we breathe out. So Having the live growing plants around us inside of the house always makes the house smell fresh. Chris keeps telling people “Welcome to the Jungle” the first time we have new friends over to our house. It is a peaceful and serene feeling to be surrounded by all of the greens! There are many plants that fill our house, most of them are plants and our small Chihuahua’s, ContessaRosa and Salina. They fill the house with companionship, Love and entertainment. It is a Good Life. May you be blessed with a fulfilling and enjoyable growing season year round! I Have All Of These Organic Vegetables Planted In My House, What Do I Do With It? Posted 5:34 pm by Chris & filed under Organic Gardening. What do I do with it? Do I use it to Barter? Do I give it to friends? The Answer is Yes to all. 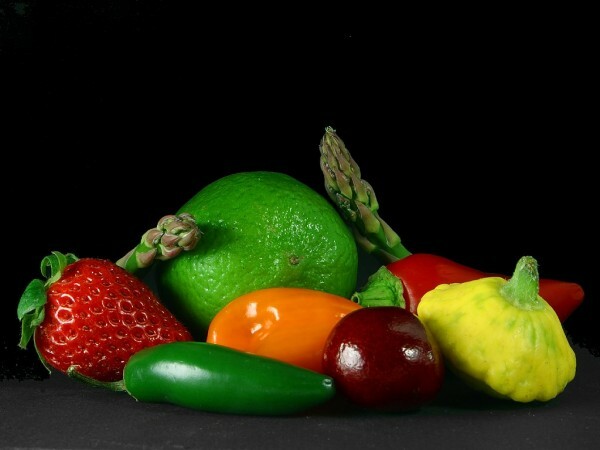 The best ways to use your Organic vegetables, is not only on what you want, but what others need also. You can ask your friends and family join in with you, and share with all of the work, and then you could compensate them. Also there is a movement called CSA. But what the heck is CSA? Community Supported Agriculture, or CSA is one way to start your business in Gardening or Farming and take the majority of the risk out of your hands. If your growing vegetables for business, then you need to follow the rules of the local, State and federal governments. How exactly does CSA work? It is a relationship between farmers and community members who pay annual membership fees to help cover the production costs of the farms. In return for being a member, individuals and families receive a weekly “share” of the farm’s production during the growing season. You can scale this as you are growing your business, or even have it be a group effort and have people volunteer. It is up to you on whether or not it is a business, Community Shared endeavor, or even a not for profit Organic Vegetable Garden for you and your Friends and Family. It is a fun and legal way to get your food at a lower price. Plus you control how you fertilize, and how you get rid of bugs and pests. As you grow your soil and your harvest increases, then you can increase what you do with your bounty. Many Women have started small gardens then ramped it up after learning the local growing seasons and experimenting with what will grow and when. The other item to consider is what foods do your partners want from the “Farm”? You can grow organic vegetables to help others with Heart Health, Cholesterol, Eye sight, Colon Health, and Anti-Toxins. The main thing is to take Action! You never know who or how you may make lives you may impact for the better. Your can sell your organic vegetables to restaurants that want to serve fresh, fantastic tasting produce and vegetables in your local area. The excess organic vegetables can go to your friends and family, or go to help someone whose house may have been damaged and all of their food has spoiled and no longer edible. Also you should allow others to show you their gratitude by giving you money or other items that allow you to continue to grow your Organic vegetables or Organic Farm. This money will allow you to buy the equipment you need to help you till the soil, and if you don’t want to take money you can trade instead! So if you need organic, non-treated wood for your beds in a raised bed garden, trade for that. The great thing about gardening and farming, is the relationships that you form and build. Not only with people, but the animals around you that help keep your plants free from pests, but also your relationship with the land and Our Creator. Enjoy your journey, ask your questions, and you will receive the answers that you need and want to help you become a Successful Caretaker of your Land and Relationships. Posted 9:18 pm by Chris & filed under Organic Gardening. We wanted to get some vegetables sooner than Later. In the past we have lost plants as late as may due to a hard frost and some snow. This year, we are doing things differently to ensure a good Harvest. According to pyroenergen.com, there are many health improvements that can be had from eating 100–150 grams of green onion a day. The next vegetable that we are growing is Chives. Chives are known to be a mild anti-inflammatory. They also have some antibiotic properties, like the other plants in the allium group (onions, garlic, et al). The main reason that we are growing them is this: We like them on baked potatoes and in salads. The flavor that it adds is great, but not as strong as some of the onions that we have grown. Good Eyesight: Spinach is a rich source of beta carotene, lutein and xanthene, all of which are beneficial for eyesight. Beta carotene is supplied to the eyes by cooked spinach. It can prevent one from vitamin A deficiency disease, itching eyes, eye ulcers and dry eyes. Age-related Macula Degeneration (AMD): AMD or Retinitis pigmentosa is responsible for causing blindness. It is due to the degeneration of lutein and xanthene which form central part of the retina. According to research conducted by Oak Ridge National Laboratory, consumption of spinach can result in regaining of the two pigments and preventing AMD effectively. Blood Pressure: Spinach has high content of potassium and low content of sodium. This composition of minerals is very beneficial for high blood pressure patients as potassium lowers and sodium raises the blood pressure. Folate present in spinach contributes in reducing hypertension and relaxes blood vessels, maintaining proper blood flow. Strengthens Muscles: A component of spinach, factor C0-Q10 which is an anti-oxidant, plays important role in strengthening muscles especially heart muscle which continuously pumps blood to all parts of the body. As per the Journal of Cardiovascular Nursing, C0-Q10 can be used to prevent and treat many cardiovascular diseases like hyperlipidemia, heart failure, hypertension and coronary heart diseases. Cataract: Lutein and zeaxanthin present in spinach act as strong antioxidants thus preventing the eyes from harsh effects of UV rays that lead to cataract. Atherosclerosis and Heart Attack: Atherosclerosis is caused due to hardening of arteries. A pigment named lutein found in spinach has been shown to reduce the occurrence atherosclerosis, heart attack as well as stroke. This is due to the fact that spinach proteins tend to reduce the cholesterol and other fat deposits in the blood vessels. For me, Since I have had a few heart attacks, this was important. Neurological Benefits: Several components of spinach like potassium, folate, and various antioxidants are known to provide neurological benefits. According to Neurology, folate which reduces due to occurrence of Alzheimer‘s disease can be revived by spinach. Bone Mineralization: Spinach is a good source of Viatmin K, which functions in retaining calcium in the bone matrix thereby leading to bone mineralization. Apart from this, other minerals like manganese, copper, magnesium, zinc and phosphorus also help in building up of strong bones. This in turn can prevent an individual from osteoporosis of bones. Anti-Ulcerative: It has been found that spinach and some other vegetables have the ability to protect the mucous membrane of stomach thereby decreasing the occurrence of gastric ulcers. Anti-Cancerous Property: Spinach made up of various important constituents has been found to be promising in various kinds of cancer. These include bladder, prostate, liver and lung cancer. Different constituents in spinach like folate, tocopherol, chlorophyllin act via different mechanisms to treat and protect patients suffering from cancer. And many other uses. We have decided to get off of the Fast track to bad health, and back onto the Fast Track to Health by Eating and Growing Organic Vegetables and Fruits again, and removing Stress in our lives. Having a Garden and growing our own food has always helped in the past. Thanks to Chief Robert TallTree and Terri TallTree, we are once again learning How To Live On Purpose. Living a Life that is healthy and honors our Creator, has made a huge improvement in our lives. We will be sharing how our Indoor Organic Garden or MiniFarm as some people call it, as it progesses. We are looking forward to seeing what you are doing in your world! You Are Totally Awesome, and I know that you just can not help it, for that is the way God Created you! How Do I Help Others Growing An Organic Garden? Posted 1:07 pm by Chris & filed under Organic Gardening. How do I help others by creating and Growing an Organic Garden? As I look back at all of the events that I have been able to help others, creating and growing an organic garden is one of the best. Lots of experiences has prepared me to help at the time that I needed to help. ACTION. Action and doing what I love doing, whether it was boating or flying or working with animals, I have been blessed with the opportunity to serve others. Animals and Nature included. If you are growing more food than you can actually eat and sell yourself, there are definitely others that you can help. Canning, Freezing and De-hydrating excess not only provides for you and your family and friends in case of need, but also gives you the ability to help those passing through on their journey. My Wife Heather and I have had much help from others, and enjoy the blessings from helping others. It is not about the money, because money is just energy. We trade our energy for money so that we can in turn purchase or invest in the things that will help us to grow and make a difference in this world. Nothing has been more of a blessing than to help someone else out without any preconceived ideas to profit from it or way the person who received the help would do. As a Human Being, it is nice to just BE what we have been Created to be, Loving and Caring. I would like to share a link with you on just how Caring and Loving the People in the united states are: This YouTube Video was shared with me and it reminded me of how Awesome it is to be alive in this world. It is a video narrated by Tom Hanks, but the Stars are people like you and I. People who Love one another and want to make a difference in this world. If you can start growing the food to help someone out in challenging times, it is and will continue to be a blessing. If you have the ability to Grow food and prepare it so that it is healthy and can be used safely at a later date, you have reserves. Not to be stored up in a warehouse somewhere else, but available extra, you are prepared. I would like to thank you already, because in my experience, those of us who have a passion for growing healthy Organic Food, usually in my experience, are also givers. You also to remember that you need to receive help also. That had been my weakness in the past, the ability to give, but resistant to accept help. But since having challenges myself physically, I have learned to accept help and blessings also. I am truly a blessed man. So think about your purpose and your passion. What is it that gives you the Thrill of your life? Turn it into your reason for action and Please share with us all what it is that brings that smile to your face! You Are Totally Awesome, I know that you can not help it, because that is the way you were created! How To Create Profitable Farm Business? Do You Still Use Bent Nails?